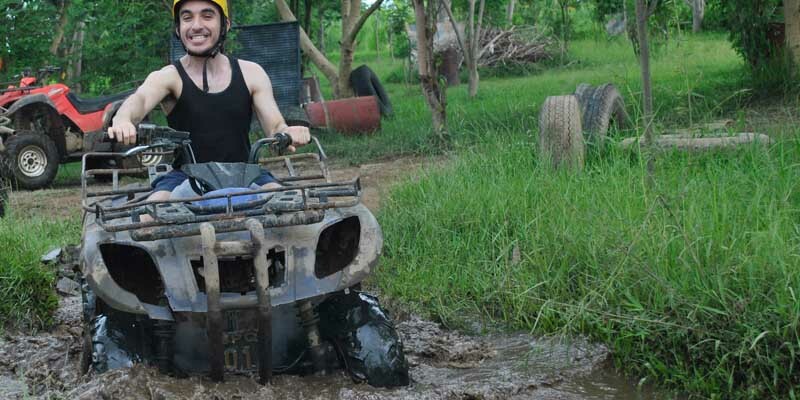 Bali ATV ride adventure is an exciting activity to exploring jungle area with riding ATV Quad Bike. The base of the vehicle is motorcycle type but having 4 big wheels on feet. It is built to explore wild jungle area with off road style looks. The tire used for the vehicle is shaped like tractors vehicle to be able to ride in the mud area. There is nothing better to fulfill your adventurous spirit with riding the quad bike through the off road jungle routes. 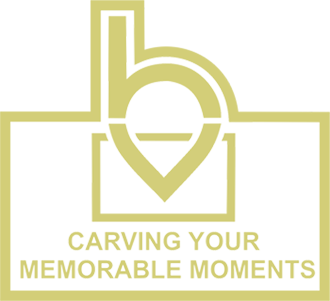 Bali ATV ride adventure itinerary will be started with pick up from your hotel by our Bali tour driver and the pickup is PRIVATE with NO SHARING with other guest. It will take around 2 hours driving from Denpasar area to reach the ATV start point. When we reached the start point, we need to fill up the registration form for the insurance cover purpose. Then, we need to wear the safety equipment such as knee protector, helmet, and etc. Before we start, the professional instructor will give a technical instruction on how to drive the vehicle and the difficulties of the routes. And now it is the time for Adventure! After finished the activity, we need to change our clothes and have buffet lunch provided by the company afterwards. Finished with everything, we are heading back to your hotel. Batik making at Tohpati Village has been well known as the best Batik production is the island. Names of Batik itself comes from word “tik” that means “dot” or “spot” on the fabric. It is called Batik because of the making process is putting some dots on the fabric to make a certain design. The process of handmade Batik is quite long to be finished. The have to start with making the design layout using a pencil on the fabric then put wax on the design and left only some area that will be filled by certain color. After the first coloring done and dried completely, they will remove the wax by wash it with hot water. To do the second coloring, the will cover the parts that has been colored with wax and also the area that will not having the second color to left the area that will be colored by second color. The steps will be repeated over and over depends on how many color they are using for each product. Due to its uniqueness and complicated steps, UNESCO has been awarded Batik as “Masterpiece of the Oral and Intangible Heritage of Humanity” on October 2009.